A Stick you just have to try out! 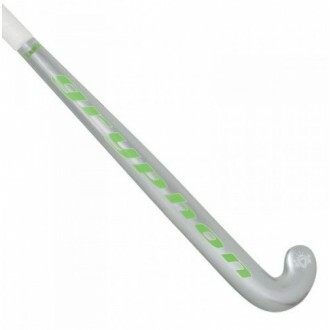 The Gryphon Diablo Chrome Pro II is a stick you’ve just gotta try out. The Power Integration System (PIS) is the key ingredient in the lay-up, and precision in construction is a key component. The potency of its power is matched with our unique cork laminate Energy Reduction System (ERS), the cork absorbs the vibration of the stick when hitting, so no matter how hard you can smash that ball, the contact will still be super smooth. So put simply, it packs one hell of a punch but doesn’t take it out on you. We all know that Gryphon sticks hit harder, but the Diablo Chrome just plays better. With the perfect balance of composite materials, balance and weight, we’re proud of this gem! This stick is built with the Gryphon Pro II mould but still maintains the characteristics of a Gryphon Chrome Diablo. A Stick you just have to try out! The Gryphon Diablo Chrome Pro II is a stick you’ve just gotta try out. The Power Integration System (PIS) is the key ingredient in the lay-up, and precision in construction is a key component. The potency of its power is matched with our unique cork laminate Energy Reduction System (ERS), the cork absorbs the vibration of the stick when hitting, so no matter how hard you can smash that ball, the contact will still be super smooth. So put simply, it packs one hell of a punch but doesn’t take it out on you. We all know that Gryphon sticks hit harder, but the Diablo Chrome just plays better. With the perfect balance of composite materials, balance and weight, we’re proud of this gem! This stick is built with the Gryphon Pro II mould but still maintains the characteristics of a Gryphon Chrome Diablo.